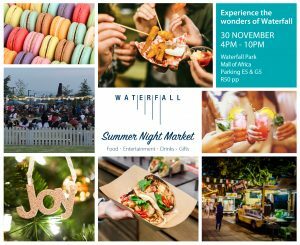 The Holiday Season is almost upon us and one of the best ways to celebrate is at the Waterfall Summer Night Market. 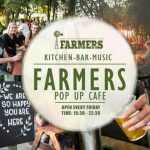 This December the team behind the successful Fourways Farmers Market are transforming the beautiful gardens of Waterfall Park into a twilight Wonderland. Enjoy a night of twinkling lights, gourmet street food, artisanal craft, unique holiday gifts and scrumptious treats. Pop in with the whole family and enjoy an evening of joy, love and laughter. R50 entrance and kids under 12 and pensioners free.